Last year, we wrote extensively about photo ID laws and the Supreme Court’s decision to strike a key section of the Voting Rights Act of 1965. Now, with gubernatorial elections in New Jersey and Virginia, and the debt ceiling and healthcare debates already shaping the 2014 midterms, we’re revisiting voting policies to see which states have enacted tougher restrictions since the Supreme Court ruling in June. Remind me 2013 what is Section 5 of the Voting Rights Act? Under the Voting Rights Act, states and localities with a history of racial discrimination needed to get permission from the federal government to enact any changes to their voting laws, in a process called “preclearance.” As of June 2013, nine states, mostly in the South 2013 Alabama, Alaska, Arizona, Georgia, Louisiana, Mississippi, South Carolina, Texas and Virginia 2013 needed to get any new voting laws pre-approved. Some counties and townships in California, Florida, New York, North Carolina, South Dakota and Michigan were also subject to preclearance. Section 5 first applied to states that imposed literacy tests or other unfair devices, and had low voter registration or turnout. Congress later expanded the law to add jurisdictions with sizable minority populations and English-only election materials. States and localities could “bailout,” or get off the preclearance list, after 10 years of elections without any problems. Several smaller jurisdictions bailed out over the years, including parts of Connecticut, Idaho, Maine, Massachusetts, Wyoming, Hawaii, and Colorado. Of course, some of the biggest voting law battles of the 2012 election were in states not covered by Section 5 at all, such as Pennsylvania and Ohio. What did the Supreme Court strike down in Shelby County v. Holder? One important technical point: the Supreme Court actually left Section 5 of the Voting Rights Act 2013 the part of the law that describes how preclearance works 2013 intact. Instead, the Court struck down Section 4, which explains which states and localities are subject to preclearance. If Congress amends Section 4, the Justice Department can start enforcing Section 5 again. While literacy tests are a thing of the past, voting rights advocates say that statutes that limit early voting and registration, require voters to show photo ID, and purge voter rolls still disproportionately affect poor and minority voters. The Supreme Court’s June 2013 decision also effectively shifted the burden from states to citizens. Before, a state subject to preclearance had to demonstrate that a new voting law was not discriminatory and let voting law experts in the Justice Department evaluate it before it could be implemented. Now it is up to voters to challenge voting laws by filing lawsuits under Section 2 of the Voting Rights Act, which prohibits racial discrimination. But most court cases involving Section 2 have been limited to redistricting, not other controversial voting measures, says Yale University law professor Heather Gerken. What have preclearance states done since the Supreme Court ruling? a NORTH CAROLINA: Two months after the Supreme Court decision, North Carolina passed a number of measures, including strict new photo ID requirements. The law also eliminates same-day voter registration, shortens the early voting period by seven days, and specifies that ballots cast at the wrong polling station will be thrown out. Some changes will be phased in starting in 2014, and the photo ID provision goes into effect in 2016. The North Carolina NAACP and a civil rights group called the Advancement Project have filed a lawsuit challenging the changes. The Justice Department also filed a suit of its own. But the suits venture into some new legal territory. q TEXAS: Last year, a federal court rejected Texas’ voter ID law, calling it “the most stringent in the country.” The panel also rejected the state’s redistricting maps, finding that they protected white incumbents while altering districts with minority incumbents. But on the very day of the Supreme Court ruling, Texas Attorney General Greg Abbott said the state would “immediately” enact both measures. The photo ID law requires voters to present an approved form of photo identification, where before they could present mail, utility bills or other proof of voter registration. The Justice Department had refused to approve the law based on the state’s findings that Hispanic registered voters were far less likely to have the approved photo IDs. The new law also requires the photo ID presented on voting day to match the state’s voter rolls 2014 complicating voting for some married women and others with name changes. The Justice Department has filed a lawsuit against the newly enacted photo ID requirements and joined an ongoing lawsuit against the disputed redistricting maps. I FLORIDA: After the Supreme Court ruling, Florida resumed its plans to remove non-citizens from its voter rolls using the federal SAVE (Systematic Alien Verification for Entitlements) database. The Department of Homeland Security database helps government agencies check the immigration statuses of people applying for government benefits like drivers’ licenses, housing assistance, or Medicaid. But opponents of Florida’s measure say that SAVE data is faulty and not meant for elections, and that using the database to verify voter rolls will disenfranchise eligible voters. (Colorado legislators rejected a bill to purge rolls based on SAVE data for this very reason, but that didn’t stop Secretary of State Scott Gessler from moving ahead with the plan.) The Miami Herald found that Florida voters flagged for verification were disproportionately Hispanic, and most turned out to be citizens. The Department of Justice has also said that SAVE is not meant to be “a comprehensive and definitive listing of U.S. citizens,” especially since it doesn’t include data about people born in the United States. A nonprofit group has challenged the law, but a federal court dismissed the lawsuit after the Supreme Court ruled that Florida was no longer subject to preclearance. Another group has appealed a similar case to the 11th Circuit. s VIRGINIA: Virginia passed a number of voting laws this spring that seem likely to go into effect in wake of the Supreme Court ruling. The Virginia legislature passed a photo ID law last year (which the Justice Department approved), but the more recent measure goes further to limit what kinds of voter identification are acceptable. Voters can no longer show utility bills, bank statements, government checks or paychecks before they vote, but they can get an ID for freeif they don’t already have one. The new laws also require the Virginia State Board of Elections to remove ineligible voters by comparing state voter rolls with the SAVE database and other states.The Democratic Party of Virginia has sued the state over the interstate crosschecks, contending that the database has erroneous information and the law will disenfranchise poor, elderly and minority voters, but a federal judge rejected the suit for lack of evidence. As of Oct. 17, the Board of Elections had already purged more than 38,000 voters. Y MISSISSIPI: Secretary of State Delbert Hosemann said Mississippi will enact a strict photo ID law by 2014. The state says it will provide free transportation to government offices where voters will be able to obtain free photo IDs. B ALABAMA: Secretary of State Beth Chapman said Alabama would also enact changes to its photo ID law by 2014. Like Virginia, Alabama used to accept other kinds of non-photo identification, such as utility bills and Social Security cards. But the new law requires voters to present photo IDs (the state will also provide free voter IDs to those who don’t have them). Legislators passed the measure in 2011, but Alabama stalled in submitting the law for preclearance. D ARIZONA: The Supreme Court issued another significant ruling on voting laws this summer: In Arizona et al. v Intertribal Council of Arizona, Inc. et al., the Court ruled that Arizona, formerly a preclearance state, could not unilaterally require voters to show proof of citizenship before registering to vote in a federal election. But the Court said Arizona could sue the Election Assistance Commission to get the federal voter registration form amended to require proof of citizenship. Now, both Arizona and Kansas have sued the commission. In case their legal challenges are unsuccessful, the states are setting up two-tiered systems of voter registration, requiring proof of citizenship for state and local races but not federal ones. So far, Kansas has suspended registration for about 17,500 voters until those they submit proof of citizenship. o SOUTH DAKOTA: Four Directions Inc., a Native American voting rights group, has asked the Justice Department to investigate why Secretary of State Jason Grant has so far refused to use federal money to fund satellite voting centers for registration and early voting on some Native American reservations. The 35 states that were not subject to any kind of preclearance were unaffected by the Supreme Court decision. But several of those states have also moved to tighten voting rules this year. C ARKANSAS: This spring, Republican legislators overrode the governor’s veto to pass a law requiring voters to show photo IDs. If voters don’t have them, they can cast provisional ballots and return with IDs by the Monday after the election. The state will also provide free IDs to people who do not already have them. L IOWA: In late March, Iowa implemented an administrative rule allowing Secretary of State Matt Schultz to begin a voter roll purge using the SAVE database. Activists have sued Schultz in an attempt to stop the purge. O INDIANA: In May, Indiana enacted a law requiring officials to check voter rolls for individuals registered to vote in other states. The advocacy group Project Vote worries that the measure could lead to voter purges. MONTANA: After Democratic Gov. Steve Bullock vetoed a measure that would have eliminated same-day voter registration, the legislature decided to let the people decide. In 2014, Montana citizens will vote in a referendum on whether to keep same-day registration. Backers of the measure say it will cut down on lines at the polls. c NEBRASKA: This spring, Nebraska shortened early voting by 10 days. Voters will still be able to vote in the 25 days leading up to an election. b NORTH DAKOTA: North Dakota is the only state without voter registration. In April, the state strengthened its voter ID law to no longer allow people without photo ID to vote by affidavit. p TENNESSEE: This spring, Tennessee passed a bill restricting the kinds of IDs that can be used to vote. Previously, voters could show student IDs, out-of-state IDs, library cards, or any other IDs issued by counties or municipalities. Now only photo IDs issued by the state of Tennessee or the federal government are acceptable. The Green Party of Tennessee has sued the state over the law. So, where does all of this leave the Voting Rights Act? The Supreme Court left it up to Congress to write new preclearance criteria. In a July hearing, House Republicans showed little interest in rewriting Section 4. But Senate Judiciary Committee Chairman Patrick Leahy, D-Vt., says there’s actually quiet Republican support for the issue. Rep. Jim Sensenbrenner, R-Wis., made headlines when he publicly supported restoring the law. “There is at least one Republican, and you’ll find out in the future a lot more, that is committing to putting life in this most important civil rights act that got a stab in the back from the Supreme Court,” Sensenbrenner said. Gerken, the law professor, isn’t optimistic that Congress will come up with a new Section 4 formula. But she said there are other actions Congress could take. For example, she has advocated that Congress adopt an “opt-in” approach and allow civil rights groups to file simple complaints for the Justice Department to investigate. Then the agency could halt the implementation of discriminatory laws as necessary. Yale law professor Travis Crum has also suggested a “bail-in” measure, by which Congress could instead strengthen Section 3 of the Voting Rights Act, letting courts put states under preclearance if their voting laws violate the 14th or 15th amendments. As part of the Justice Department’s lawsuits against Texas and North Carolina, the federal agency has asked the courts to put those states back under preclearance. This post will be kept up-to-date. Has your state or local government restricted voting rights since June 2013? Tweet at me, email me at kara.brandeisky@propublica.org or leave a comment below. Baby boomers’ retirement savings took a hit in the downturn. Courtesy of the Economic Policy Institute. A household at the 90th percentile has nearly 100 times more retirement savings than the median household. Courtesy of Economic Policy Institute. Senator Sanders on Syria – You can view this video also on Senator Sanders web site. Republished by permission: Theodoric Meyer, ProPublica, Aug. 8, 2013, 10:45 a.m.
Every American deserves their day in court. It is called due process. I do not doubt the 13 women who have made claims of sexual harassment against Mayor Bob Filner of San Diego are telling the truth – but due process must be the course of action taken to properly address the seriousness of these charges. 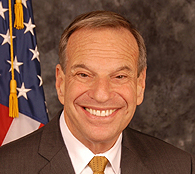 While it appears Mr. Filner has flouted the law both before and after being elected as Mayor of San Diego, as a citizen of the United States and resident of the City of San Diego, I would urge my fellow citizens and residents to use the great and powerful laws of our land to seek justice in this case. We must avoid the convenient and the costly road of recall. Our city council needs to take emergency action to appoint a Mayor pro tem to keep the city running as smoothly as possible while Filner is in mandated therapy and while the legal investigations play out. As angry as many San Diegans are, we need to do the right thing rather than reacting and doing the wrong thing. Due Process Is The Law and Every Citizen’s Right – even Bob Filner. ProPublica, July 19, 6:15 p.m. The government isn’t allowed to wiretap American citizens without a warrant from a judge. But there are plenty of legal ways for law enforcement, from the local sheriff to the FBI to the Internal Revenue Service, to snoop on the digital trails you create every day. Authorities can often obtain your emails and texts by going to Google or AT&T with a simple subpoena that doesn’t require showing probable cause of a crime. And recent revelations about classified National Security Agency surveillance programs show that the government is regularly sweeping up data on Americans’ telephone calls and has the capability to access emails, files, online chats and other data — all under secret oversight by a special federal court. While Obama Touts Compromise with GOP, Progressive Lawmakers Unveil "People’s Budget"
We advocate for social justice. We aggregate news that matters. We investigate issues that fly under the radar.